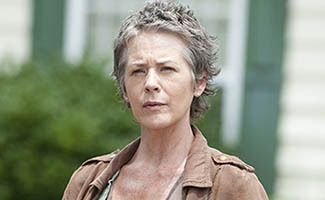 As part of its summer “Dead, White, and Blue” marathon special, the Talking Dead showed a few tantalizing seconds of footage from season five. 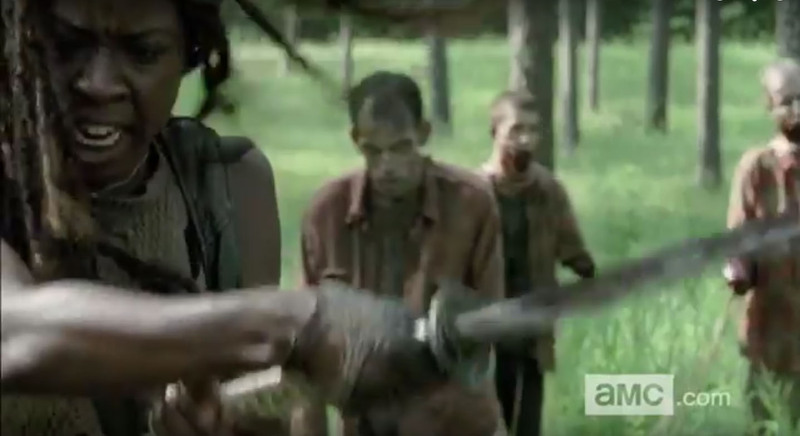 AMC knows you want to see what happens to those in the train car or Beth so very, very badly. 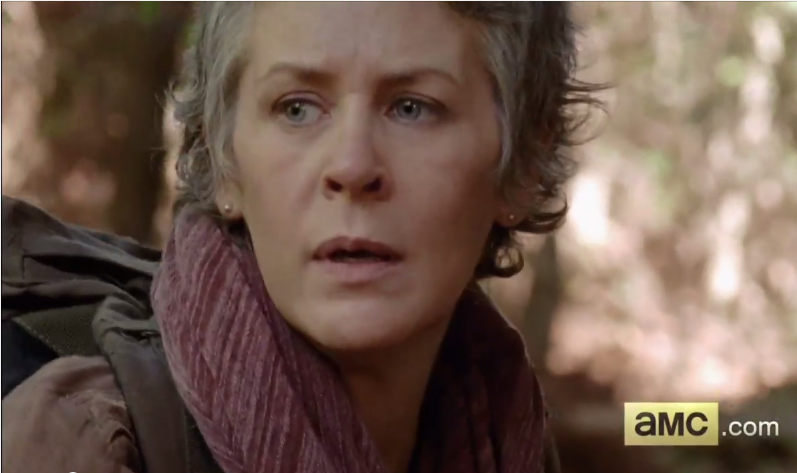 That’s probably why this clip features Carol, Tyreese, and Baby Judith. In the clip Carol and Tyreese are either simply running from an enormous gang of walkers, or they are attempting to lead walkers somewhere. Some have speculated that they might be trying to lead them to Terminus, and they are definitely closing in on Terminus as you can see them pass a Terminus sign. It doesn’t really reveal much, but it’s enough to whet the appetite for more. 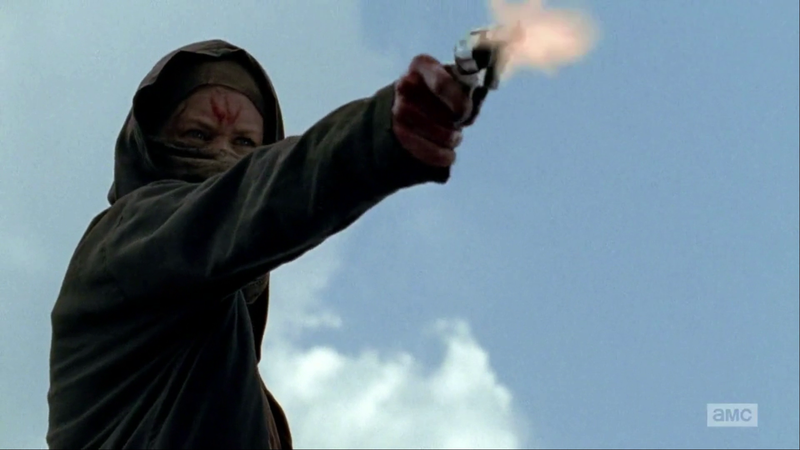 By the way, Baby Judith is very much alive, so hopefully this puts an end to the controversy caused when it wasn’t clear to some if she was killed or left behind in “The Grove.” She does seem to be played by a different baby now, though, although that’s inevitably going to happen as babies get too big for Judith’s britches.